We’re starting the new year on a mindful footing by offering two new classes! To end your week right, there will be a new Friday evening gentle hatha yoga class (in English), with last Friday of every month being a special “free Yoga” class in Honour of the 100th birthday anniversary of Swami Satchidananda. 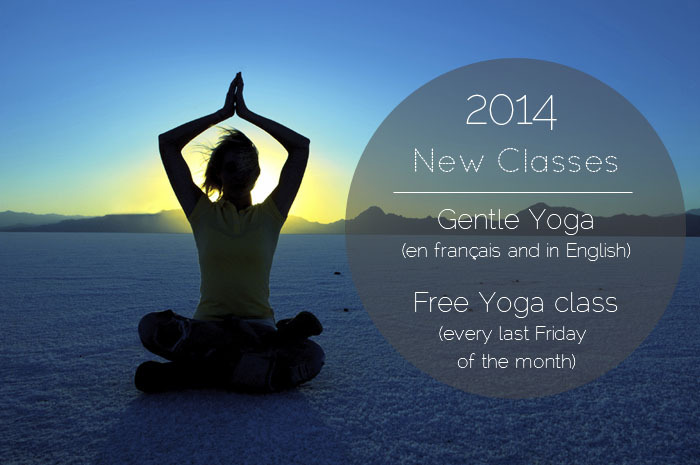 Also, Monday evening will feature a new Gentle Hatha class in French. For meditation, come check out our new 30-minute Noon Meditation sessions.